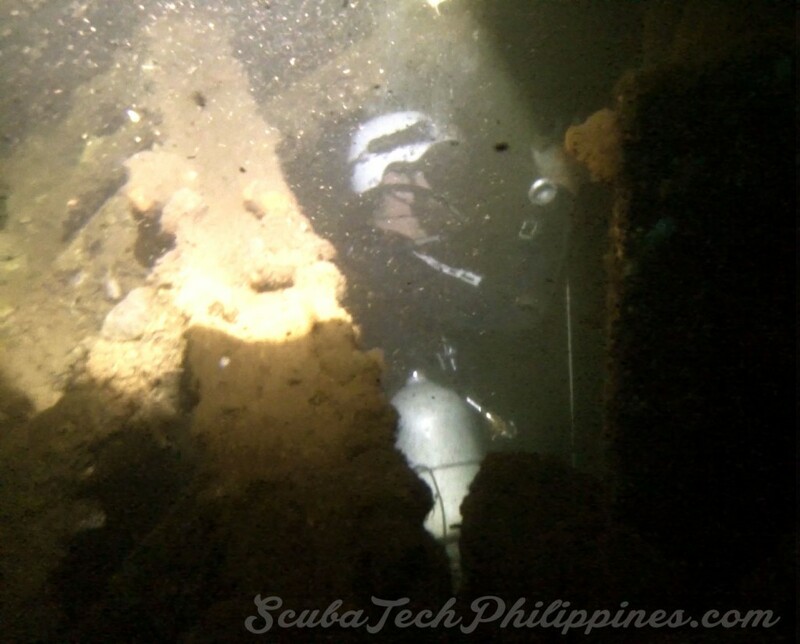 A technical wreck (sometimes called ‘advanced wreck’) course is a pinnacle-level diving course for highly qualified technical divers who wish to penetrate extensively inside of shipwrecks. Whilst the primary skills and drills taught in these courses are identical wherever they are taught, the focus and philosophy of training can vary significantly by region or by the individual instructor. 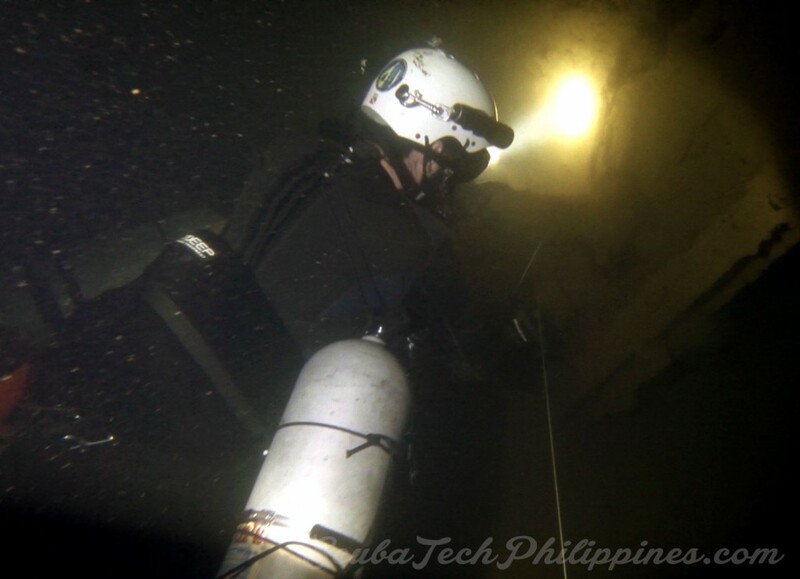 In this article, I will attempt to explain the general components and structure of a technical wreck course, along with my personal interpretation – as a technical wreck instructor – of how I focus and run my courses here in Subic Bay. 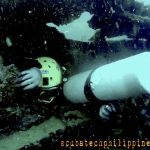 The photos used to illustrate this article are all still-shots taken from GoPro footage of a technical wreck course that I ran on the wrecks of Subic Bay in January 2016. 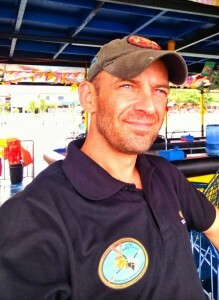 My French student, Robin, was already a qualified diving instructor, technical and cave diver (under Pascal Bernabé). 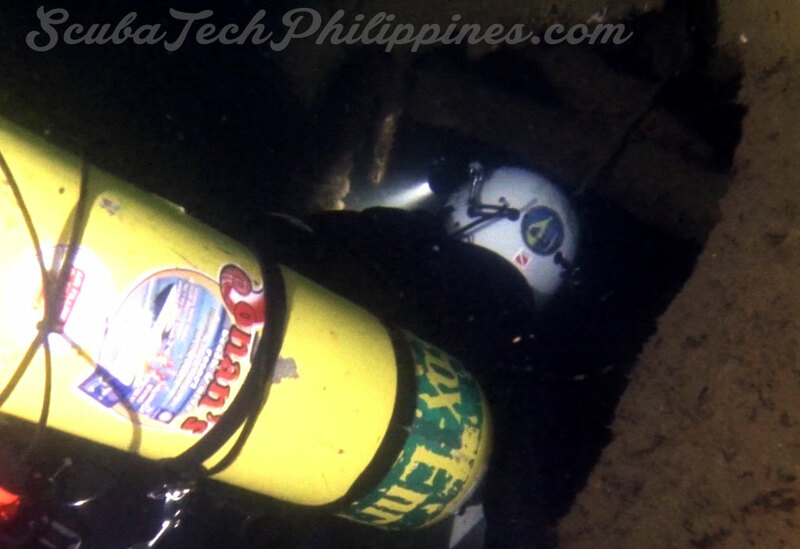 We conducted a Tec Sidemount course/elite tune-up before doing the technical wreck course. The total training was 10 days. I video my courses to enable very constructive post-dive debriefs and student self-analysis. 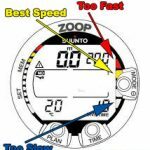 This is a very effective learning tool that promotes rapid development. 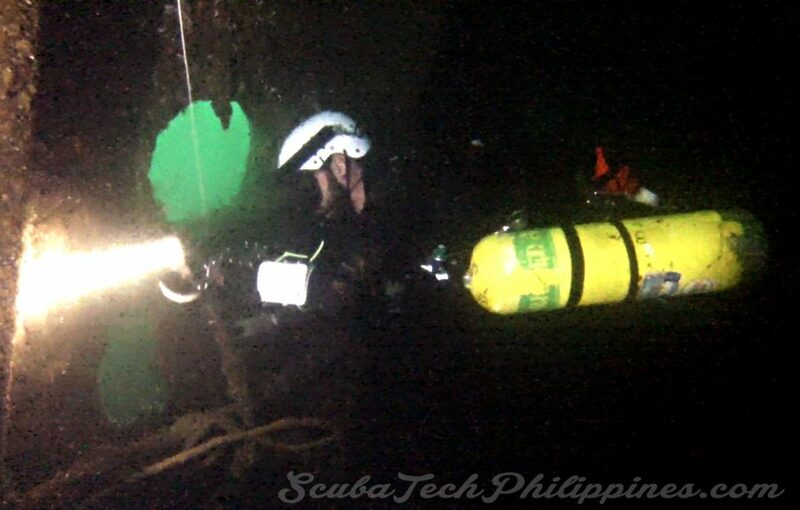 Most technical wreck classes are 4-8 days in length, with 2 dives per day. There are 2 dives conducted per day, often lasting in excess of 90 minutes each. There is also theory study in the classroom and lots of skill rehearsals on dry land; especially with regards to guideline drills and line-laying. Students should be in good physical shape for this training, as it demands some diver endurance and durability. Whilst some divers prefer not to prepare for courses with physical conditioning exercise, getting through each training day at a point of exhaustion can lead to degraded learning potential and more inclination for physiological and psychological stress over-loading. 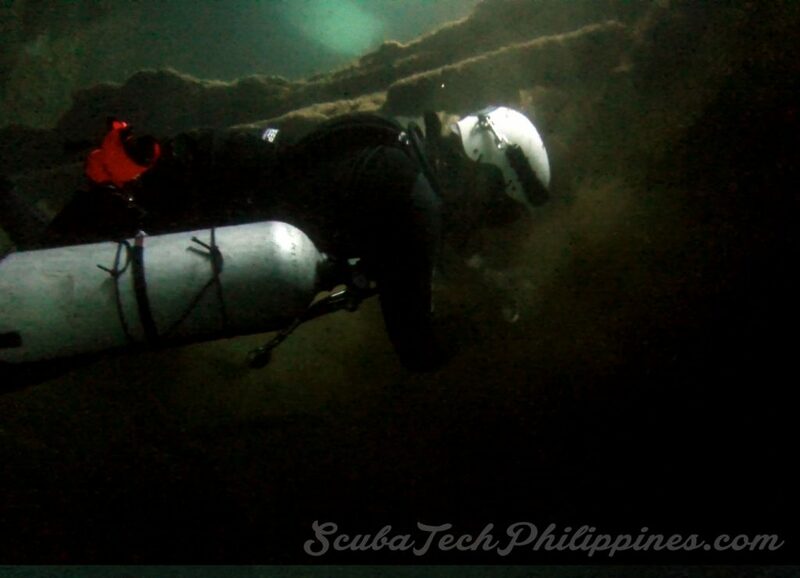 Prerequisites for a technical wreck course are normally basic wreck diving qualification and certifications that show proficiency in decompression diving techniques. 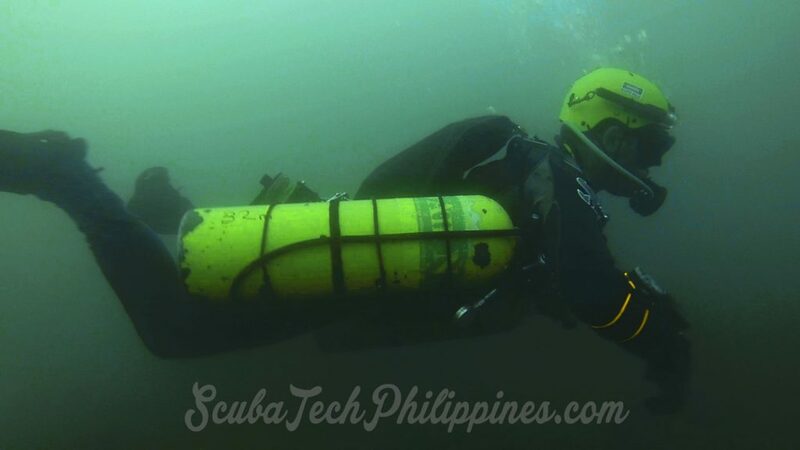 The depth of required decompression / technical diving certifications may be determined by the depth of the wrecks at the location where the instructor conducts the course. 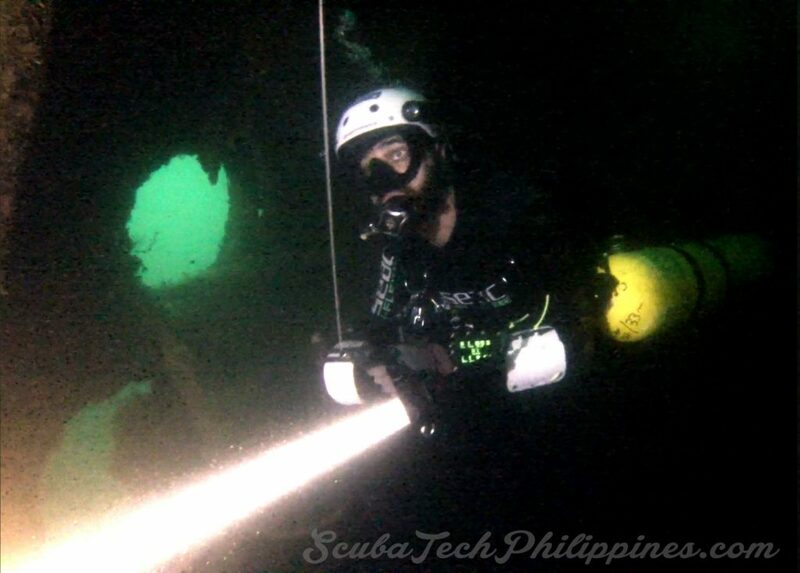 The need to practice and repeat (to a high level of accomplishment) many drills on each dive dictates long bottom times; hence the deco requirement. Some instructors view a technical wreck course with an emphasis on accessing deep wrecks (technical decompression). In contrast, other instructors view the course chiefly as an intensive overhead environment training course, irrespective of depth, with the focus being on developing very refined guideline skills and emergency protocols. Again, these perspectives are often shaped by the depth and nature of the wrecks where the instructor operates. There is a range of approaches to technical wreck diving. 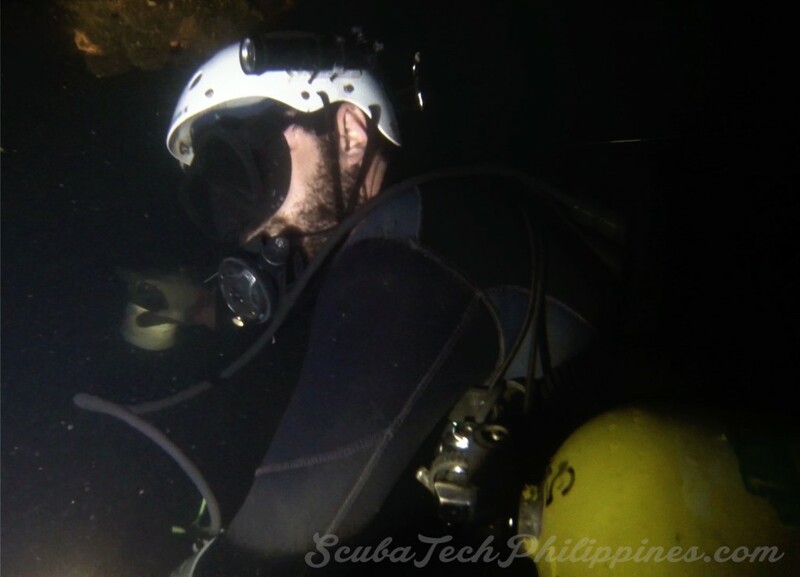 Many technical wreck instructors borrow heavily from the cutting-edge refined procedures, approaches and protocols being formulated by exploration-grade cave divers. In contrast, other ‘deep ocean’ technical wreck instructors develop more rugged approaches to diving; aimed at operating in demanding water conditions (current, water temperature etc). There are distinct ‘schools of thought’ that characterize the diving, for instance, of North-East USA ‘wreckers’, European or UK wreck explorers and those emulating the Florida/Mexico cave-inspired best practices. The best instructors make it their mission to understand and experience all of these approaches and, to quote Bruce Lee, “absorb what is useful and disregard the rest”. 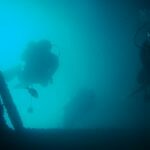 Nonetheless, wrecks are a distinctly different environment to caves and any instructor teaching wreck overhead environment courses at advanced levels should have noteworthy and extensive experience inside wrecks. 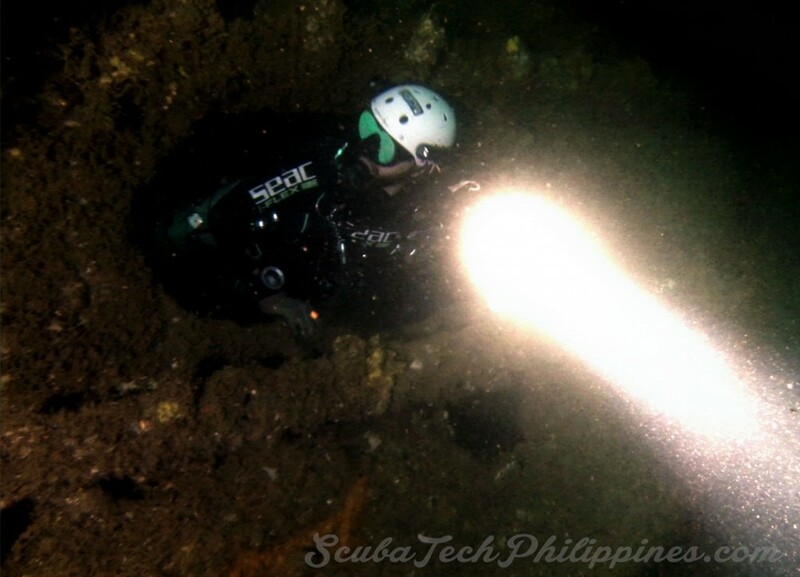 Cave diving qualifications don’t prepare divers to enter ocean wrecks, just as a wreck diving qualification doesn’t prepare someone to safely enter a cave system. 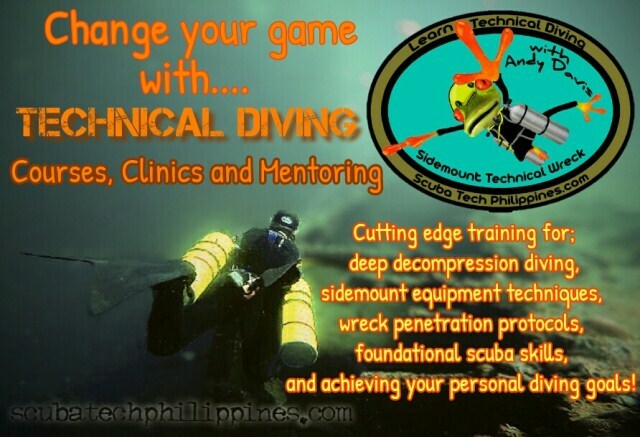 In addition to the certification prerequisites, technical diving students enrolling on a technical wreck course are expected to have solid experience and a high competency of fundamental diving skills. This means that technical diving, and conducting decompression, should be second-nature to them. It also means that they can maintain flat, horizontal trim consistently; regardless of distractions and a severe level of task loading. Any tendency towards dropping the legs and kicking silt should de-bar the student from entry onto the course – remedial training is necessary before progression into the wreck. The first day of my technical wreck courses consists of paperwork, logistics, equipment and check-out dives. I run an equipment workshop to help students refine and ‘clean’ their technical rigs ready for penetration into confined, dark environments. 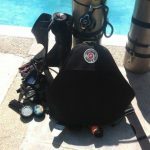 Courses can be run in sidemount, back-mount or CCR. 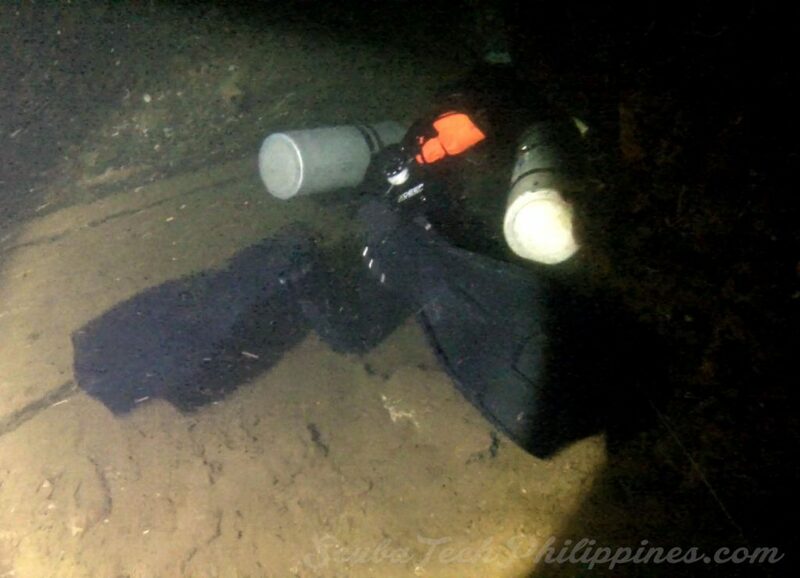 My bias is always for sidemount, as this promotes easier penetrations in confined, tight environments – but given the cost of helium, very deep technical wreck courses/dives are cost and decompression efficient when CCR is used. 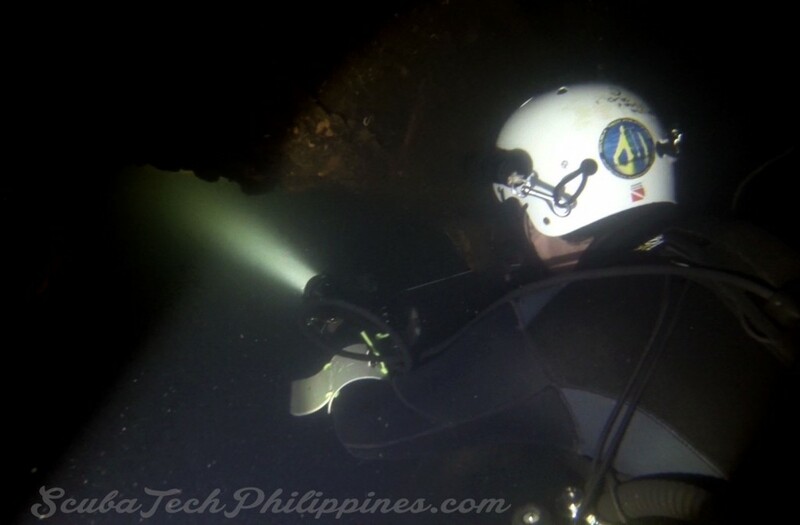 There are now a few sidemount-CCR units on the market and these are definitely getting some attention from the deep cave and wreck divers. The initial check-out and skills dives are conducted in open-water. This gives the instructor a chance to assess the student’s strengths and weaknesses before entering an actual wreck. It also gives t student the chance to make final tests, tweaks and adjustments to their equipment. Following some dry-land rehearsals, the students will conduct intensive training laying and retrieve line, using safety reels for lost line and lost diver drills, conduct air-sharing protocols in zero visibility, tactile/touch communications, entanglement drills and a plethora of other skills and drills. These two dives, done in shallow water wherever possible, can easily be as long as 120 minutes each. It is a very long day. 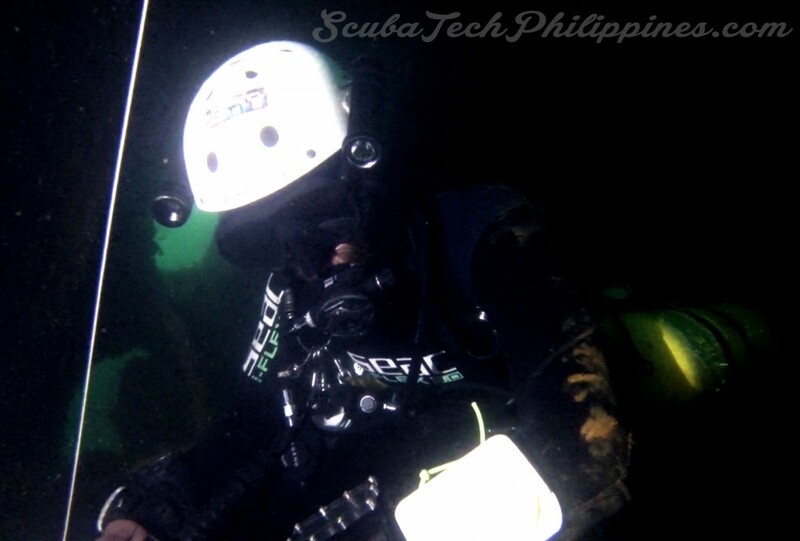 Technical wreck divers have to be able to conduct every critical skill even if they lose visibility in a silt-out, so once skills are learned and practised with vision, they are then repeated in blacked out masks; to replicate zero visibility. During this process, the student also develops more effective stress management skills and equipment familiarity. Operating technical diving equipment by touch alone works wonders for developing an instinctive and intuitive understanding of your kit. Once the necessary skills and drills have been mastered in open-water, the training switches to the overhead environment. Again, everything that was done previously in open-water is now repeated and refined in an actual wreck overhead environment. This brings added learning aspects for the student, as they now have to deal with silty conditions and more difficult situational awareness. Light skills become critical, both signalling and because they hamper other skills (especially canister lights) if the student does not follow protocols exactly. 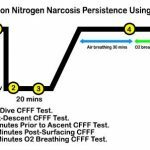 Dives are planned to maximize bottom-time for training, using a suitable gas; so there is often decompression to complete before surfacing. 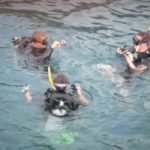 The students are expected to plan and manage the dives, whilst the instructor simply runs them through the necessary skills. This, again, places realistic task-loading and situational awareness demands on the student divers. Again, this necessitates that student technical wreck divers are suitably experienced in open-water decompression diving. 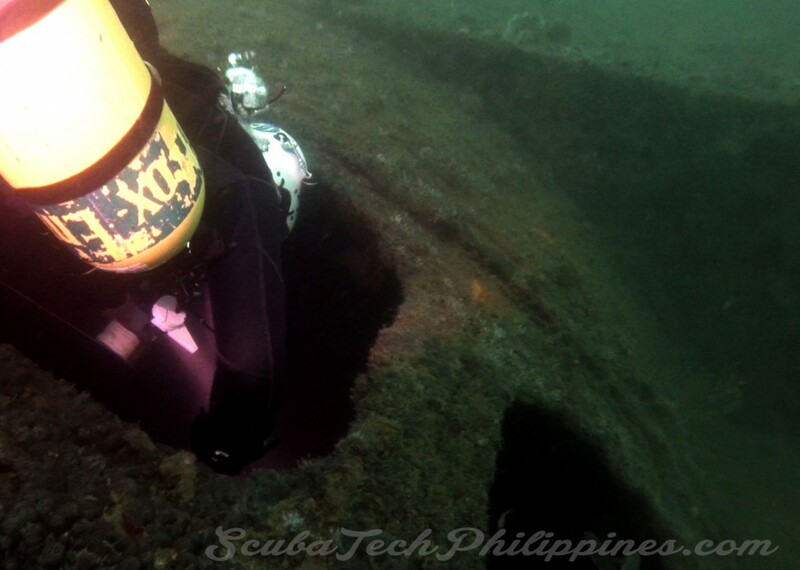 On my courses, I make sure that students spend considerable time in and around silty areas of the wreck. This exposes any fundamental breakdowns in trim and fin discipline, where the student’s feedback is often a real-time loss of visibility. I direct penetration routes that further test the student’s ability to operate in unusual orientations. This will include vertical (head-down) and even upside-down passages. 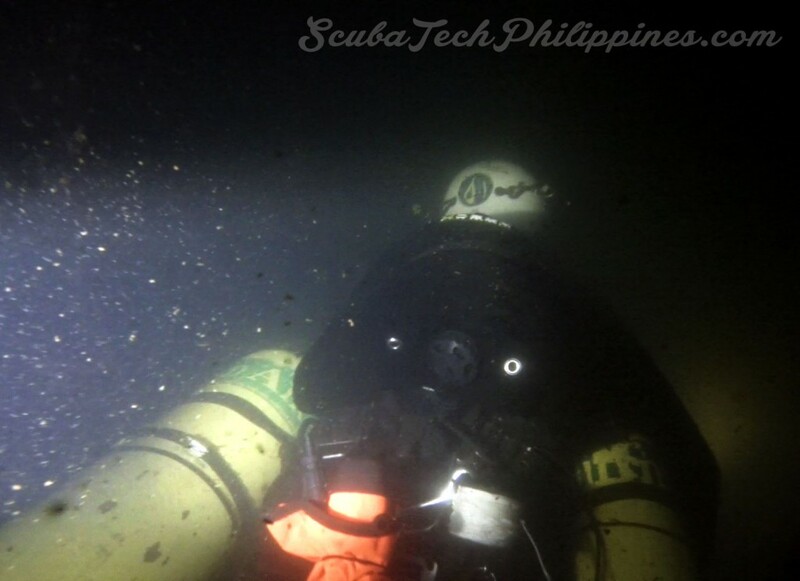 Sometimes a passage may be too tight to allow the technical wreck diver to re-orientate themselves the right way up in horizontal trim – so being able to complete shut-down drills, or even mask clearances, in every possible orientation becomes important. As the training dives progress, I pay careful attention to the student’s level of stress and capability. My goal is to enable the greatest possible development by consistently pushing the student beyond the outer-limits of their comfort zone; whilst also keeping training safe and ensuring that too much stress doesn’t detract from their actual ability to learn. Every course is subtly different as the experience is tailored to the strengths and weaknesses of the individual student/s. 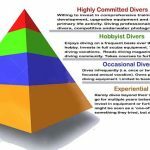 This psychological learning process is also critical for the student, as it empowers them to develop a realistic self-understanding of their dive psychology whilst under considerable pressure. 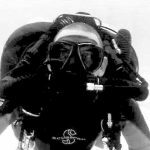 I encourage my students to be very aware of their psychological and physical comfort during the training dives; using the experience to set their own individual limitations and boundaries. Practice develops skills refinement and exposure to intimidating conditions develop mental toughness. Most importantly, the student should learn to self-diagnose unacceptable stress or when the demands of a given dive are overloading their skill competencies or physical ability. Over the course of these skill development dives, the student divers will lay many, many hundreds of meters of the guideline. Laying guideline in a wreck is one-half science and one-half art. The student diver must become accustomed to selecting a safe route through the wreck and laying the guideline so that it always facilitates a timely and unimpeded exit; even in zero visibility. As the course progresses, the student develops the science of identifying and forward-planning their tie-offs as they progress into the wreck and using a little artwork in their choice of appropriate angles to keep the guideline optimal placed and intuitive to follow. The last phase of my technical wreck skills training is that of passing restrictions. 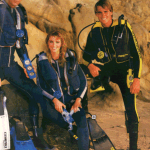 Restrictions are traditionally defined as spaces where two divers cannot pass through whilst sharing air side-by-side. However, for technical wreck divers, restrictions demand a much more detailed classification. 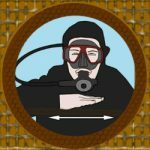 There are spaces where two divers can pass whilst sharing air in long-hose, but tighter spaces might involve some time and wriggling to get through. 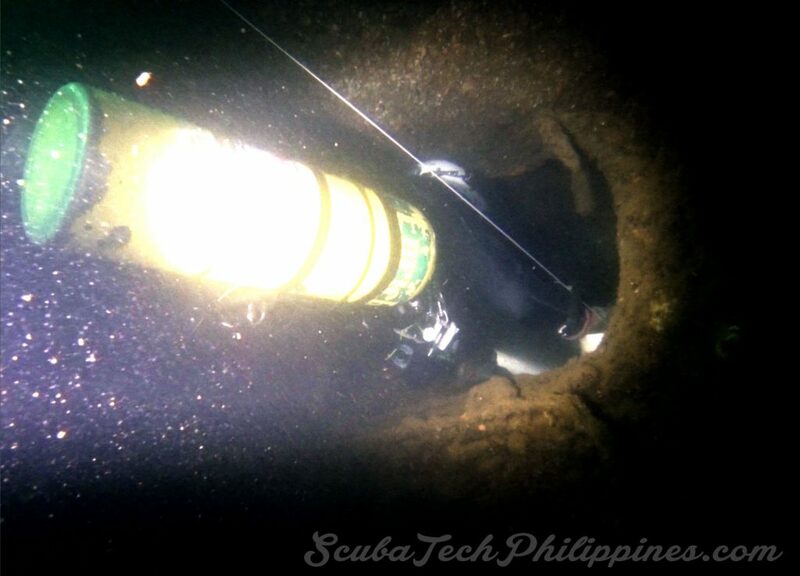 The tightest spaces may involve removing items of equipment, team-work to pass equipment or cylinders through, safety decisions on whether the diver should pass head-first or feet-first and, of course, consideration of air-sharing support throughout the process of getting past a restriction. You can read more about defining wreck restrictions in this article. Until this point, the training dives have all been about acquiring, refining and testing important wreck diving skills under increasingly challenging conditions. 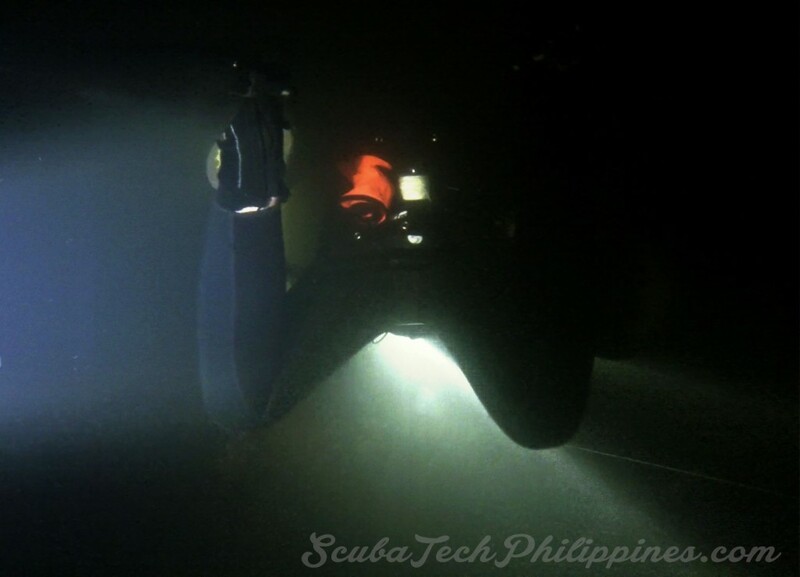 When the student reaches the point that they can comfortably perform all of the necessary protocols in low, or zero, visibility, in confined spaces and awkward orientations; then it is time to begin applying those skills on a series of increasingly demanding, substantial wreck penetrations. 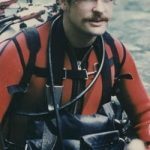 My training philosophy is that both learning and applying skills are fundamental to creating competent technical and overhead environment divers. When I conduct technical wreck courses here in Subic Bay, Philippines, I am lucky to have the USS New York ACR-2 armoured cruiser as a training site. This is an impressive wreck that permits extensive multiple deck penetrations and allows practice operating in heavy silt and confined spaces. There are numerous routes through the wreck that range widely in demand and severity; from the sublime to the ridiculous. 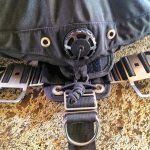 My choice in allocating penetration routes largely depends on the student’s comfort and competence this far in the course. Whilst the wreck is physically large, many of the internal compartments are tight and confined. The wreck lies on its side, so the layout and navigation are often confusing. Visibility outside isn’t good and the visibility inside can disappear in a second if a single fin is moved carelessly. 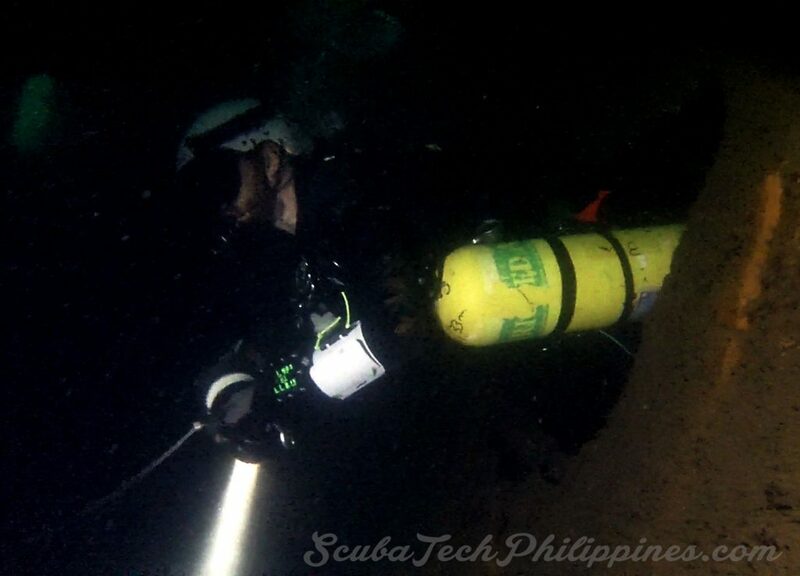 It is not a place for those anxious of the dark, the claustrophobic or prone to stress overload; hence the build-up process in more benign wrecks first (luckily, Subic has more than a few wrecks to develop upon). 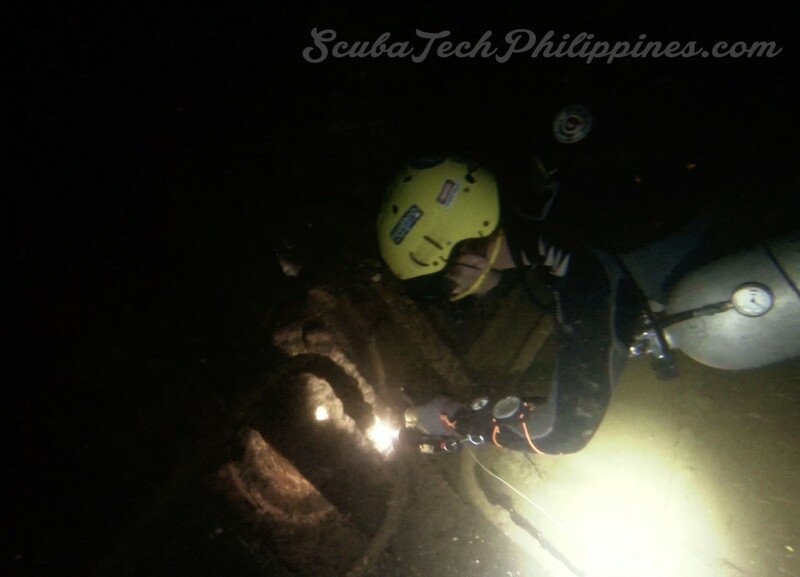 When applying the technical wreck skills training on actual penetration-exploration dives, there are no fictitious scenarios; the demands are real. They are real penetration dives planned in exacting detail and the student has a lot of task management to deal with throughout. 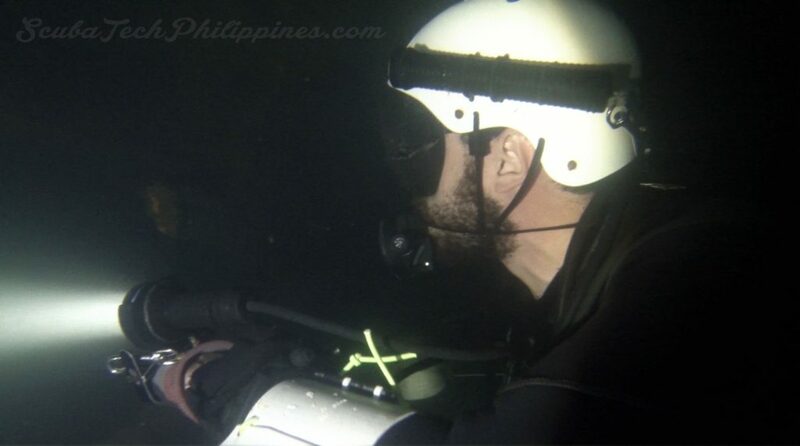 The conditions and parameters of the dives are hazardous; only the newly mastered skill-set of the students allows them to mitigate the risks that exist. Two technical wreck divers, one of them an instructor, lost their lives together inside the USS New York only a few years ago. 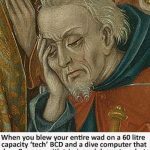 I always make sure that one of the early penetration dives on that wreck routes past the plaque laid where they perished. It is both sobering and an ample reminder why we train diligently and work to maintain and improve our skills beyond certification. 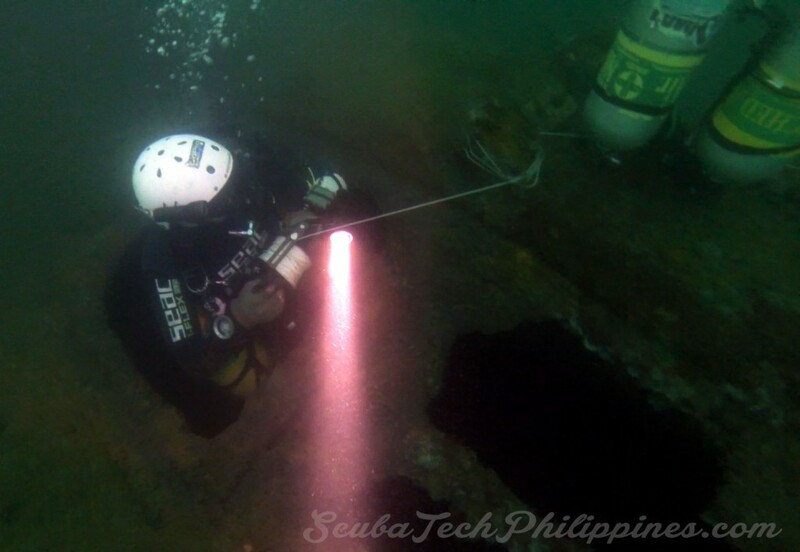 Doing technical wreck training in Subic Bay has several advantages. Firstly, many of the wrecks are relatively shallow; in recreational depth ranges (most at less than 32m). 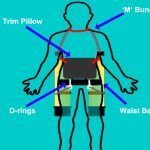 This means that we can do very extended bottom times without a huge decompression obligation. 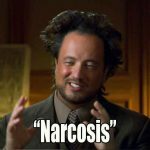 Secondly, it alleviates the need to pay for helium fills to offset narcosis. 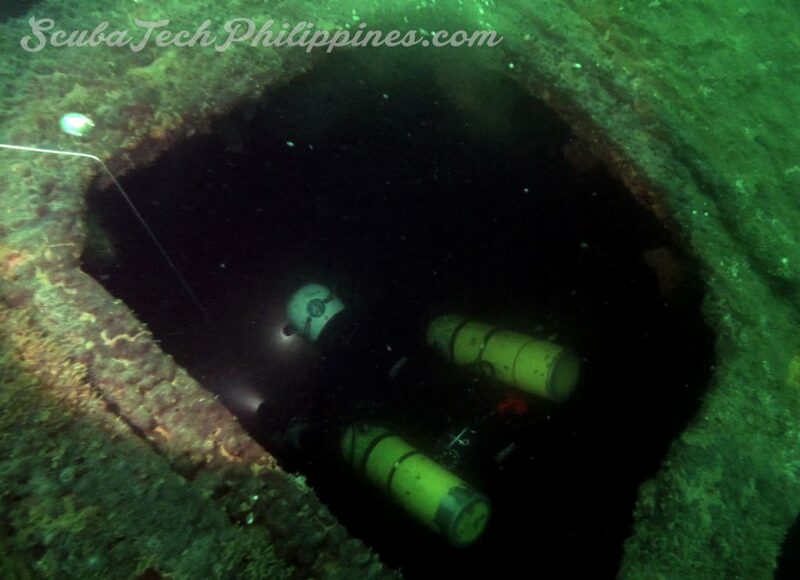 Trimix gas fills are very expensive, especially in the Philippines, and if we only had deep wrecks to dive upon then the course costs would rise much higher. As the training dives progress, the technical wreck students get progressively more comfortable and accomplished. I do not favour minimum-timescale courses where the bare requirements are achieved. 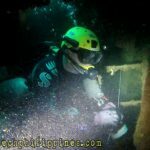 Technical wreck diving is a hazardous activity and enough training dives need to be completed for the student to have built a solid foundation of skill application and real experience. The more we dive, the more problems and variables we encounter; expanding our experience base with real-time lessons learned, not just hypothetical understanding. 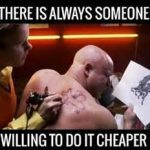 The student pays for their training but has to earn their qualification. In doing so, they deserve a true sense of fulfilment and accomplishment. 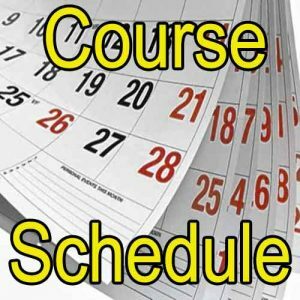 Unlike many scuba diving certifications, technical wreck courses are a level of training that demands the very highest standards and contentious, motivated instructors who will not compromise on the quality of diver competence that they produce. Whilst true perfection can never actually be attained, advanced overhead environment diving is best suited to those who pursue perfection and train themselves diligently in its pursuit. If you have an interest in learning technical wreck diving, please do drop me a line. I am always happy to discuss training strategies over the long, medium and short terms so that divers can ultimately accomplish their goals. Technical wreck diving isn’t for everyone, but if you are considering taking your wreck diving to the highest levels, then the time to start working towards that ambition is now.